The window in the Sanctuary is believed to have been imported from America. 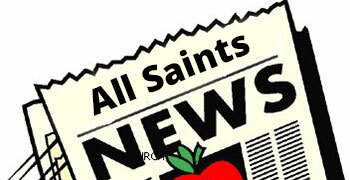 ALL SAINTS CHURCH, thanks to the vision of its founders, is fortunate to have a glorious collection of stained-glass windows. Their vivid colours highlight figures of the prophet, apostle and martyr and the wording from the early Christian hymn of praise, Te Deum, the title of which is taken from its opening Latin words, Te Deum laudamus, rendered as “Thee, O God, we praise”. The two three-panel windows were brought over from America around the time the church was built. The church’s benefactor as far as the windows are concerned was Mary Boreham, an American who came to the island some time before 1890 with her terminally-ill husband, Walter, an English lawyer who had been struck down with tuberculosis. This memorial stone for Walter Boreham was placed on the back wall of the church exterior during the construction work. It is directly beneath one of the stained-glass windows so generously donated by his widow, Mary. Mary, maiden name Dabney, was the nieces of a former US Consul to Tenerife, which is probably how she learned that the special climate that the Canaries enjoy might help in the treatment of her husband’s condition. The couple arrived in the Taoro Parque area during the building of the Grand Hotel Taoro, which had been designed to attract health tourists and gloried in the fact that its sanitary arrangements were “carried out by certificated English plumbers”. One of the more modern windows added on the occasion of the Millennium. Sadly, Walter Boreham lost his battle with TB soon after their arrival at the age of 41. Mary, still a relatively young woman herself, threw herself into the ex-pat life of Puerto Orotava, as it was then, and became a generous benefactor to the British community. The Borehams had set up home in Finca San Antonio, modernising the house, landscaping the gardens and setting aside space for outdoor games such as tennis and croquet. They had brought with them their prized possession – a magnificent collection of thousands of books, which was also to prove to be of great benefit to the British ex-pats when The English Library was establied just a couple of hundred yards from the church. 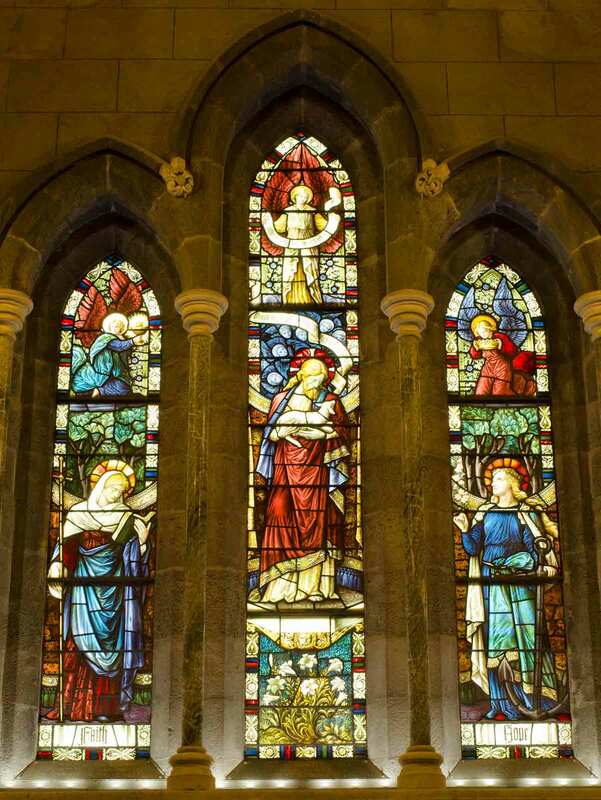 Apart from the beautiful stained-glass windows, Mary also personally defrayed the cost of the vicarage erected behind the church. In return for her great generosity all she asked, being a Unitarian, was that all Christian denominations could use the church. 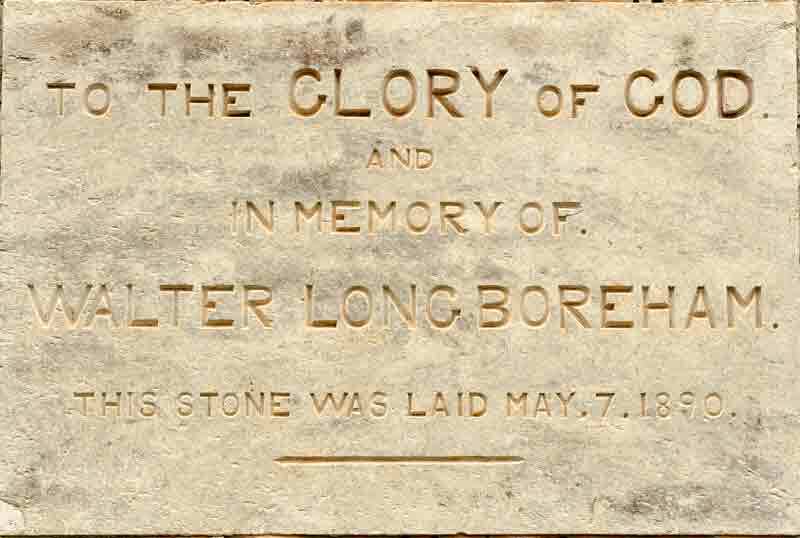 When the first stone was laid it was written that the church was dedicated to the memory of Walter Boreham.